Beautiful Costa Del Sol along Spain’s southern coast draws visitors every year. At the Heritage Resorts at Matchroom, you will be just a few miles from the seashore, close enough to enjoy the region without feeling overcrowded. From there, you can enjoy the beachfront activities, take day trips inland to Spain’s historic cities or trek across to the Straits of Gibraltar. 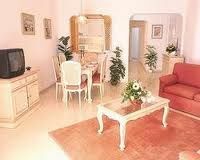 Timeshare choices for the Heritage Resorts at Matchroom vary between studio, one, two, and three bedroom suites. Studio and one-bedroom units are ideal for couples seeking a quiet getaway for between two and four people, while the larger suites accommodate between six and eight guests. 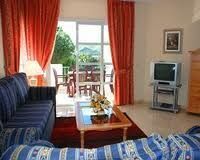 All rooms are clean and well-furnished with a flatscreen TV, and feature panoramic views of the golf course and grounds. Inside, you will find a full or partial kitchen, with a fridge, microwave, cooker, dishwasher, and washing machine. 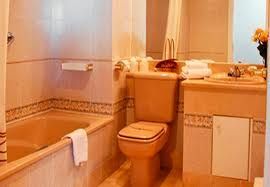 These Malaga timeshares for sale give you access to the area’s many activities and adventures. The casino and gaming in town will entertain you each night with plenty of fun and excitement, while by day you can go horseback riding through the beach, or try out numerous water sports such as water skiing, boating, fishing, and windsurfing. The beautiful beaches of Costa Del Sol live up to their name as the “Sun Coast” with sparkling waters and soft sands, which welcome more than two million visitors every year. Plus, with over 70 golf courses to pick from in the area, you can tee off year-round. Even so, with the many on-site amenities at the Heritage Resorts at Matchroom, you won’t need to go far for a good time. This lively, clubhouse style resort has an on-site bar and restaurant, two heated outdoor swimming pools, and tropical gardens lining the golf course. Inside the clubhouse, you can play at one of the three full-sized snooker tables, workout at the gym, or soak in the Jacuzzi. 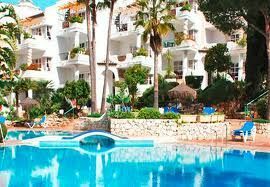 With these Malaga timeshares for sale, you can enjoy Costa Del Sol from an exclusive, enjoyable resort perfectly located for all your adventures. Contact Heritage Resorts at Matchroom Specialist Today!